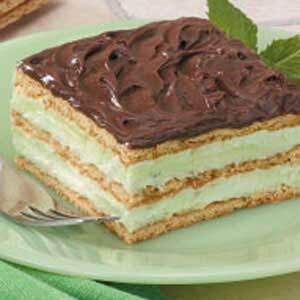 This is one of those desserts that goes together very quickly and tastes great! In a large bowl, whisk milk and pudding mixes for 2 minutes. Let stand for 2 minutes or until soft-set. Fold in whipped topping. 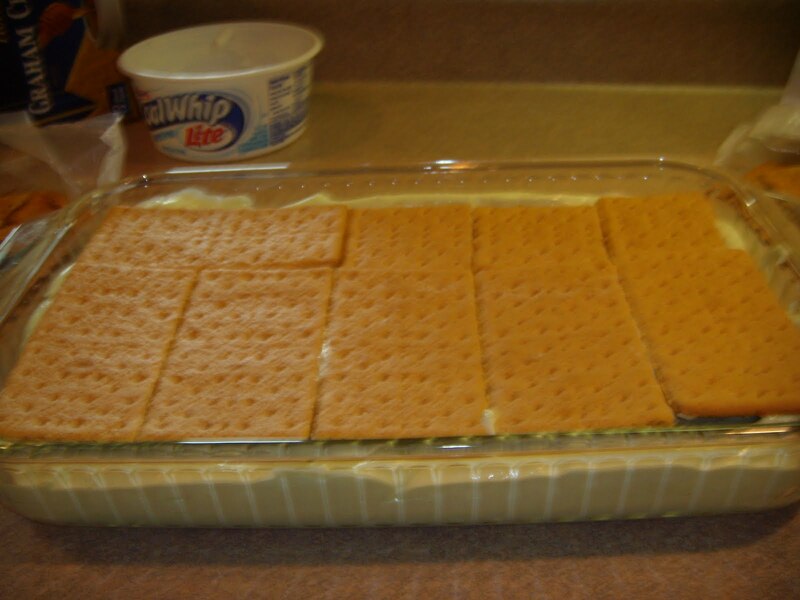 In a 13-in X 9-in X 2-in dish, layer a third of the graham crackers and half of the pudding mixture. Repeat layers. 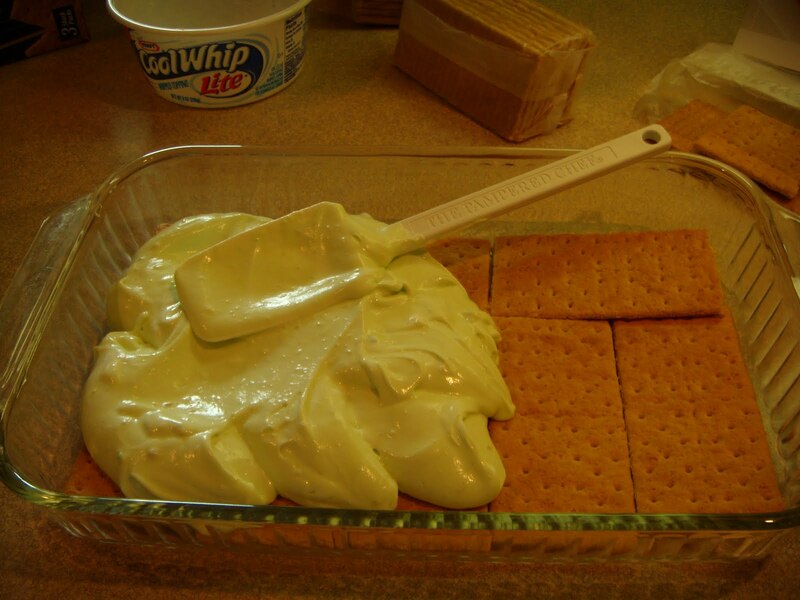 Top with remaining graham crackers. Refrigerate for at least 1 hour. This is a look at all of the ingredients to make this dessert. The first layer of graham crackers is down and half of the pudding mixture goes on top. After another layer of crackers, the rest of the pudding the final layer of crackers goes on. After warming the frosting it is spread on the top of the crackers and refrigerated. 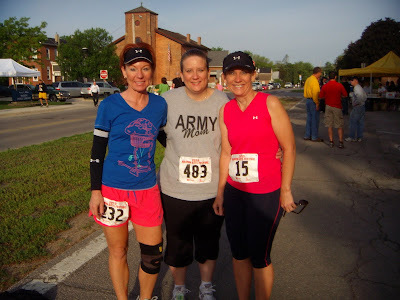 On May 15, 2010, I joined my sisters in the Marion Arts Festival 5K race. In actuality it was Cathy's race and Patty and I were along for support. Cathy had completed the Couch Potato to 5K training program and was now ready to put it into action. Since the race was at 8:00, I got up at 5:30 to eat breakfast. By 6:30 I was heading over to pick-up Patty and then off to get Cathy. We were at the race site by 7. Packet pick-up was being done prior to the race, so we got our packets and t-shirts and took them back to the car. Then we started our warm-up jog. The morning was sorta cool - temp in the the upper 40's so we needed to get our core warmed up. We jogged around for 10-15 minutes and then went back to the car and shed our jackets. Another stop at the porta-john and then we headed to the starting point for the race. Even in a sleeveless top I was warmed up and ready to go. There were a couple of hills but nothing seriously challenging. The weather was perfect and the course was run very well by the volunteers. We were all happy with the results as this was not about "time". It was not a "race" for us. This was about Cathy finishing her first 5K without walking any of it. And....MISSION ACCOMPLISHED!!! Being together...sisters...doing something that was good for all of us was absolutely awesome. This was just the beginning!!! Congrats Cathy!!! Update on Jim - 5/3/10 - Cancer free! This afternoon went very well. Jim had to be there at 3:30 for lab work. Around 4:00 he was taken back to the room where they do the procedure. Dr. Nabi came in and did her exam and gave Jim the results of his PET/CT Scan from last week. She said that everything looked great. There is "activity" that showed on the scan in the pelvic area but she is confident that the "activity" is in the form of healing that is taking place. She wants to see Jim again in 3-4 months and will have another PET/CT scan done before she sees him. The appointment has not yet been set, the nurse will call with it in the next day or so. So, anyway Dr Nabi did the spinal infusion procedure and Jim said it was pretty much the same as each of the three times previously done. It was all over pretty quickly and we were on our way home by 5:00. Once home Jim had to once again lay down for 4 hours. At the time I am writing this he has less then 30 minutes left.....and then he is all done! Now all that is left is for him to regain his leg strength and with the help of the trainer that he is working with that will soon be done. Over the last couple weeks we've been taking walks in the evening. A little bit further each week. If you ask him, Jim will tell you that he feels very good. Isn't that wonderful? Thanks for all your prayers. They have definitely been answered! God is very good! Please drop him an email on his work account: jim@customhose.com . If you have been reading my blog for purposes of following Jim's progress then you have reached the end of regular updates. I plan on posting info as Jim has his re-checks which will be every 3-4 months for awhile. So that you don't have to scroll through all my recipes and running info, you can go to the column on the right and find the label that says "Jim" and click on it. That will bring up everything that has been labeled with his name. You can easily find the latest info that has been posted. Thanks again for your continued interest and prayers! Can you remember where you got your favorite recipes? I can. Its funny how things work that way. But this is one that I fell in love with right away and I cannot even begin to tell you how many times I've made it. Becca was a cheerleader in high school and we had gone to one of those end of the season potlucks. This salad was on the table. After everything was over I went searching for the person who made it and found her! I told her I had to have this recipe, gave her my address and she mailed me a copy. (This was at least 10 years ago, so email wasn't an option.) That was the beginning of a long lasting relationship. Hardly an Easter or Thanksgiving goes by that I don't make it. I take it to many potlucks and I will oftentimes half the recipe and make it for us here at home throughout the year. 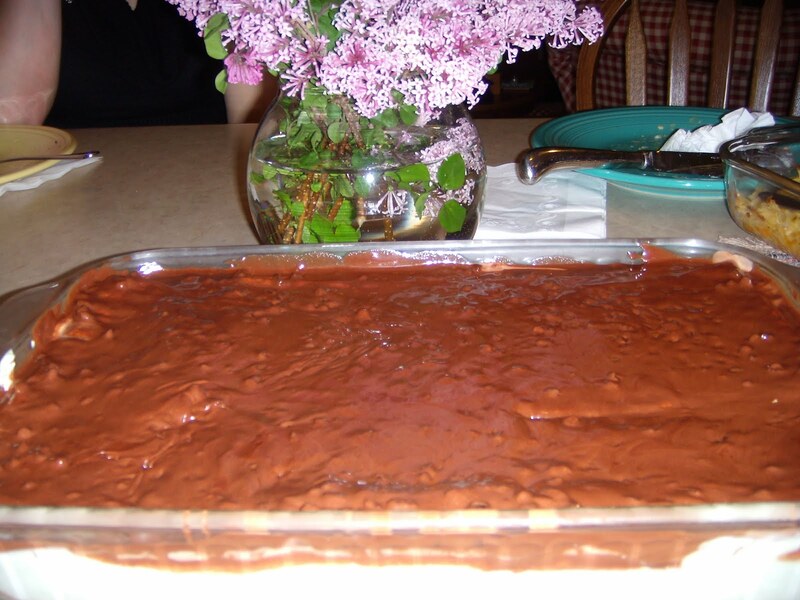 I get asked for the recipe regularly and am always glad to share it! Mix all salad ingredients togther in a large bowl. Mix together all dressing ingredients and pour over salad. Refrigerate. I put the ramen in a ziploc bag and use a rolling pin to crush it. 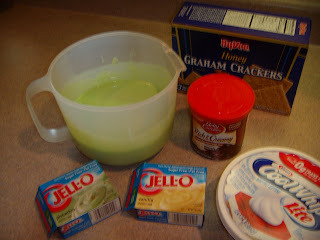 Here is a picture of the ingredients and the mixed up dressing in the container on the left. Here are the dry ingredients in the bowl before the dressing is added.